Our Music Plumbs, then Lifts and Bears (words by Thomas H. Troeger) was among the hymns featured at a joyful hymn festival presented as part of the American Guild of Organists (AGO) Northeast Regional Convention on Monday, June 29, 2015. 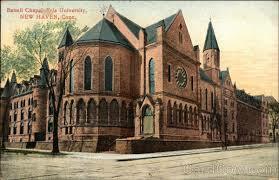 The event was held at Yale University's Battell Chapel. Organist James Bobb (St. Olaf College) displayed his extraordinary imagination as he improvised rich accompaniments from the Holtkamp organ, and an assembled choir conducted by Marguerite Brooks led the congregation with sonorous beauty. Newtown High School Chamber Choir performs "Sunrise Along Shore"
The Newtown High School Chamber Choir, under the excellent leadership of Choral Director Jane Matson, performed Sunrise Along Shore (version for mixed choir and piano) at the school's spring choral concert on May 18, 2015. Chris was delighted to accompany from the piano as Matson and the young singers infused each phrase with expression and beauty. This month, the Newtown High School (NHS) Music Department will inaugurate a new tradition by presenting the first ever NHS Composers' Concert, organized by music teacher Chris Lee. The event will take place on Wednesday, April 23, 2014, at 7:00PM in the NHS Cafetorium, and will feature student work from the school's music theory and music technology programs. With projects ranging from classical-style chorales to electronic dance music, the concert will demonstrate the school's composers' abilities to merge technique and structure with personal expression. Some works will be performed by the school's New Music Ensemble, a small group of instrumentalists newly assembled for the occasion. "I'm thrilled," says Mr. Lee, "to be finally offering a public event for our student composers, who impress me every year with their craft and creativity." Click here to see an article from the local newspaper. 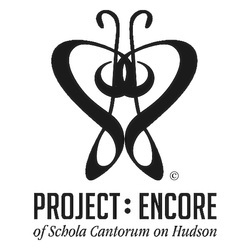 "Sunrise Along Shore" (mixed choir version) was recently accepted into the prestigious PROJECT : ENCORE database administered by Schola Cantorum on Hudson, a leading professional choir based in Jersey City, NJ. With entries vetted by an international panel of prominent conductors, this acceptance represents a significant endorsement of quality as the project seeks to promote "beautiful, compelling, and powerful new works that have every right to be welcomed into standard performance repertory." This version of the work recasts an original version for 2-part treble choir, commissioned in 2009 by the Syracuse Children's Chorus, Dr. Barbara M. Tagg, Founder and Director Emeritus, to celebrate 29 years of artistic collaboration with pianist Alice Valentine. "I Heard the Voice of Jesus Say" was given a lovely performance by the choir at Bethesda Lutheran Church in New Haven, CT. 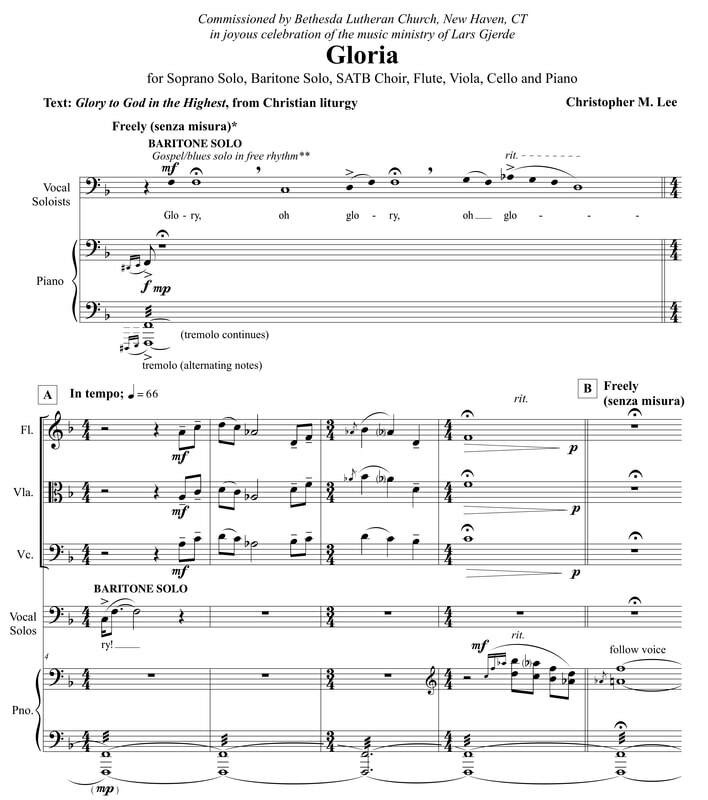 Led by Music Director and Organist Lars Gjerde, the anthem appeared during worship service on September 8, 2013. The same work will also be performed on October 6, 2013, by the beautiful choir at The Original Congregational Church in Wrentham, MA, led by Music Director Marjorie Kellner. Later this season, on November 3, 2013, the choir and instrumental soloists from Bethesda Lutheran Church, again led by Dr. Gjerde, will perform "Oh, What Their Joy" during worship service. This anthem pairs an alternate text with the music of "Faith is Believing, the Promise is True!" (available here). Chris has had a busy few weeks. 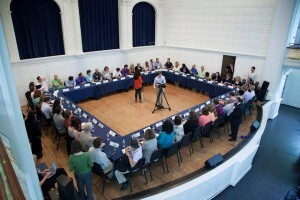 On June 6, 2013 – June 8, 2013, he joined 50 music teachers selected from across the United States to participate in the 2013 Yale Symposium on Music in Schools. Experts gave presentations on historical and current trends in school reform and the integral role music and the arts play in our evolving education system. Break-out sessions and a large panel discussion allowed participants to share perspectives and experiences, and the weekend culminated as Yale School of Music Dean Robert Blocker awarded each of the 50 teachers with the 2013 Yale Distinguished Music Educator Award. Soon thereafter, Chris traveled to Cincinnati, OH, to participate in the College Board’s 2013 Advanced Placement Reading in Music Theory. Each June, selected AP teachers and college faculty members from around the world gather in the United States to evaluate and score the free-response sections of the AP Exams. From the experience, AP Readers get an intricate view of the exam process and gain valuable insight from professional development sessions that cover current pedagogical trends as well as new initiatives at the College Board. 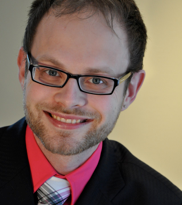 Christopher M. Lee has been selected to receive a Yale Distinguished Music Educator Award and to attend the 2013 Yale Symposium on Music in Schools. From a pool of nearly 300 nominees representing 45 states, Mr. Lee was chosen by a panel of music professionals for outstanding accomplishments and vision as a public school music teacher. 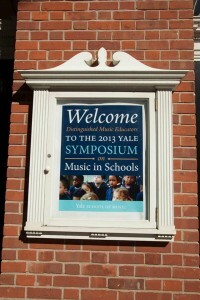 The Symposium on Music in Schools is held once every two years at the Yale School of Music as part of the Music in Schools Initiative. With support from the Yale College Class of 1957, the Symposium honors the achievements of fifty teachers from around the country. For four days in June, these distinguished music educators convene in New Haven to participate in a variety of workshops, discussions, and other events, culminating with the presentation of fifty Yale Distinguished Music Educator Awards at the closing banquet. This year’s recipients will convene from June 6-9, 2013 to discuss vital issues in music education. As is customary, the 2013 Symposium will focus on one central theme: The Role of Music in School Reform.